On November 15th, Sean McDermott sledgehammered the existing wedge in the Buffalo Bills fan base by announcing that rookie Nathan Peterman would replace Tyrod Taylor as starting quarterback for the massive road game against the Los Angeles Chargers on Sunday. For the biggest game of the season, yet another one perilously close to breaking hearts of #BillsMafia, the Bills will have a signal caller seeing his first significant action of his career. Few shrugged at this decision and said Well, let’s wait and see. Either you loved the boldness and think Buffalo had to bring in Peterman to win now and preserve a playoff spot, or you think that benching Taylor will result in the death of the season and continue the longest postseason draught of the big four sports leagues in North America. On November 13th, not 36 hours before the decision came down, we at 716 Sports Podcast recorded a show that featured a contentious debate. Of the five in the room, three felt Peterman should come in, and two of us felt Taylor should remain the starter. I defended Taylor, and in the time since have come to realize what it is that made T-Mobile so attractive for me. We’ve all seen the stats for and against Tyrod Taylor. He protects the ball from turnovers, but he held on to the ball too long, but he was a rushing threat, but he couldn’t lead teams coming from behind, but he extended plays, but he didn’t throw to certain positions well, but…whatever you want to pull out, you would ignore the other side, because that’s human nature. The reason I loved Tyrod Taylor as Buffalo Bills starting quarterback was because he was unconventional and tried to be successful unconventionally. In Taylor, the Bills took a chance on a shorter thrower who wouldn’t just stand in the pocket and take a sack or throw it away. He looked different in stature and in style. Sometimes I feel like a bit of a square peg in a round hole. I always am overanalyzing situations and thinking, Is this how most people do this or no? 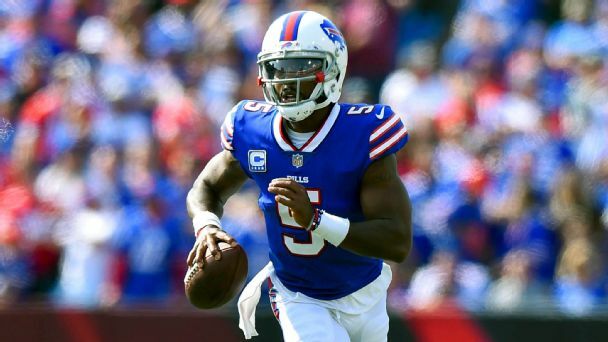 There was a comfort in seeing Tyrod in 2015, the least known of the three quarterbacks in the preseason race (EJ Manuel and Cardale Jones being the others) win the job and just be different out there. It often wasn’t pretty, but it happened. Paired with LeSean McCoy, Taylor and Shady made a formidable duo from the backfield, and for some reason, it clicked. Then, in the span of two games, everything changed. In losses to the Jets and Saints, Taylor fell out of favor with the coaches, fan frustrations grew, and 13 days after having a chance to move to 6-2 and closer to that elusive playoff spot, the Bills career of the most unique quarterbacking weapon in Western New York in a generation is over. 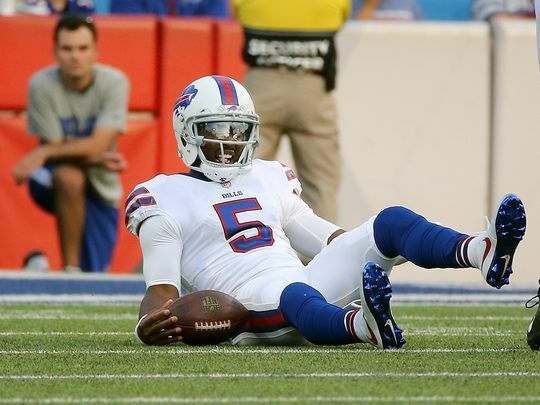 Will Tyrod Taylor play again in Buffalo? Maybe, but the relationship is severed. The Bills have conformed, for better or worse, to the traditional norms of the quarterback position. Nathan Peterman could throw for 300 yards or 55 yards, and Team Peterman will be happy to explain away whatever because he is comfortable. Tyrod challenged everyone on what a successful quarterback could be. He ultimately lost that challenge, and now, we root as one for the local football team to finally deliver on the promise of football into January. Thanks for the memories, Tyrod Taylor, from all of us square pegs in round holes.